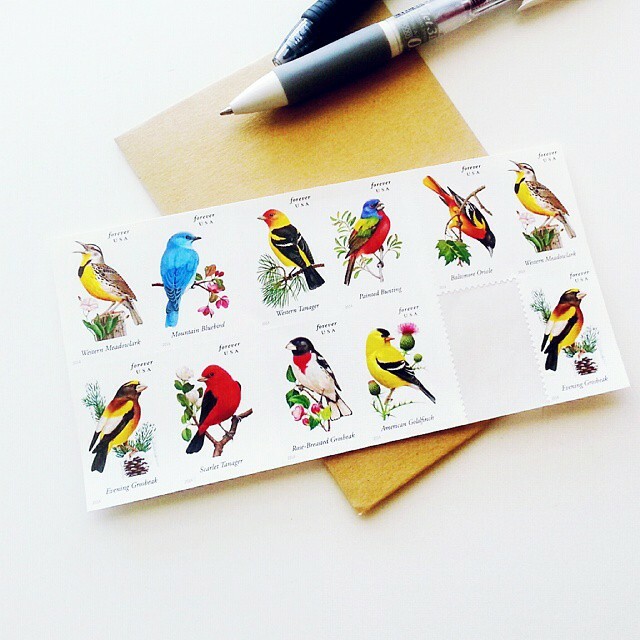 These songbirds stamps are actually still my current favorite. I mean, look at them. Just so bright and lively. It'll make any plain ol' envelope that much better! 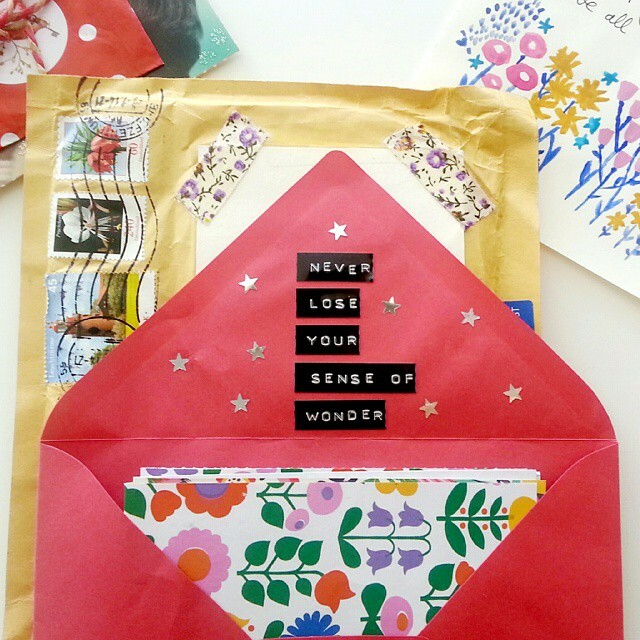 I put together this little parcel for Alessa in Germany a few weeks back. 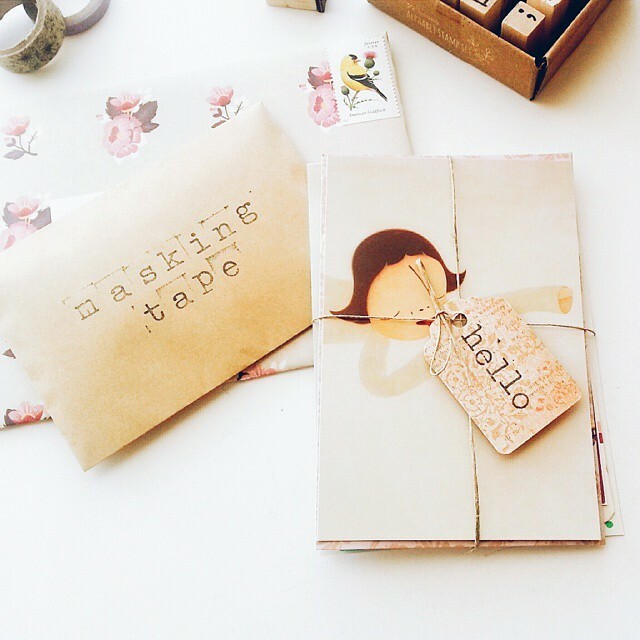 Alessa was actually one of the amazing supporters and purchasers of my very first zine, The Ephemera Scrapbook. A little after she received my zine, she was so kind and sent me this "thank you" package full of happiness and surprised goods. It was such pleasant surprise, to say the least. Thank you so so much, Alessa! That's was so sweet of her! It really was, and such a pleasant surprise too! Thank you! Yes, sometimes I forget that the stamps are not actual stickers as I can go a little overboard on the postage. Lovely!!! I love the message when you open the envelope!